My initial impressions of the Madden NFL series were not what one would classify as positive. Having been an avid NBA 2K player, I found myself supplementing that with the yearly NFL 2K releases. Unsurprisingly, the deal that EA struck with the NFL and its players in 2004 angered me as it ensured that Madden NFL would be the only official NFL licensed video game on the market. Although boycotting was a real possibility, that approach felt akin to cutting off my nose to spite my face. Despite my disdain for another EA Sports franchise (NBA Live), I decided to give Madden NFL a shot. I’ve been picking up every iteration since. 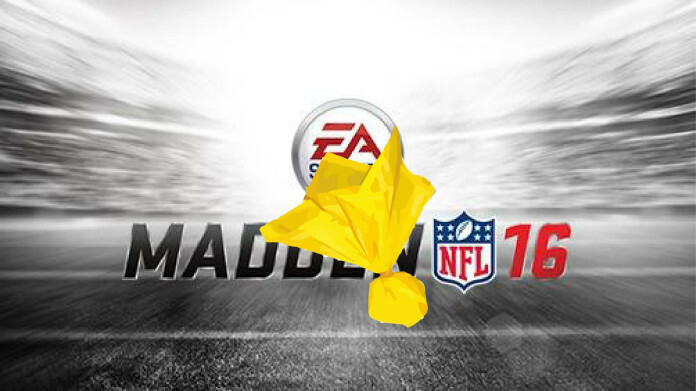 That streak ends with Madden NFL 16. Iconic catches like this happen far too often in this year’s release. 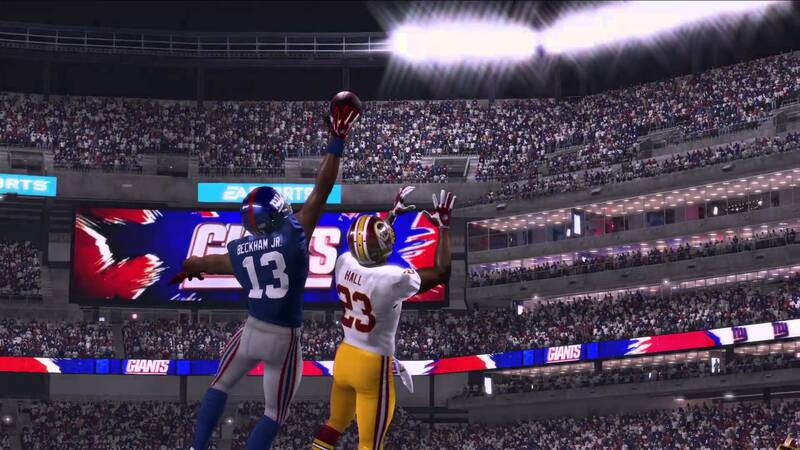 I find it fitting that Odell Beckham Jr. was chosen for the cover of NFL Madden 16. New York Giants fans and former fantasy owners of “OBJ” will certainly remember his unbelievable, one-handed touchdown reception against the Dallas Cowboys last season. It was undoubtedly the greatest catch of 2014 and arguably the greatest of all time. In Madden NFL 16, however, catches like this are simply too commonplace. Don’t get me wrong: there are some very talented receivers in the NFL and, within the 14 to 16 games played weekly, there’s a decent probability that one of them will do something spectacular each week. But this is a feature that players should have more of a 5% chance of pulling off than a 50% or even 15% chance. Nevertheless, EA has made this more of a theme or trend on par with the Wildcat formation than a genuine enhancement. Fortunately, there is a precedent for this kind of thing that gives me hope that it will change for the better going forward. For the 2006 season, Madden NFL introduced a passing cone (dubbed “QB Vision Control”) to simulate the quarterback’s field of vision. If the intended receiver is not within the cone when the pass is thrown, the accuracy of the pass is greatly diminished and is more liable to be intercepted or at the very least be way off target. Unlike this year’s receiving mechanics, this feature actually did improve the game’s realism. On the flip side, though, it was widely acknowledged, first by fans and later developers, to be a user interaction nightmare. As a result, it was eliminated entirely in the 2009 season and hasn’t been implemented again. Just tap “Y” or “Triangle” to make amazing grabs like this! Through the various modifications they’ve made to the passing controls since then, EA has consistently proven that they can effectively reinvent the wheel. With regards to the passing game in particular, the experience has definitely come a long way. Keeping this in mind, I’m not advocating for a complete removal of the new catching system. Even something as small as adjusting the likelihood of successfully completing a ridiculous catch could make all the difference between game changer and gimmick. As far as this one’s concerned, it’s probably too late to revise the existing engine to a great extent. Perhaps EA will call an audible or add a new wrinkle next season that normalizes the gameplay a bit. Either way, I’m certain that new features will continue to progress and build upon the generally solid foundation that has been established over multiple decades. In a sense, I guess Madden NFL can be considered a franchise with a roster full of features and each year is indeed an update of that roster. I’ll be waiting to see what next year’s “roster update” brings to the table. Next article4GwQPodcast Ep60 – Interview with @Harmonix Dev about @RockBand 4!